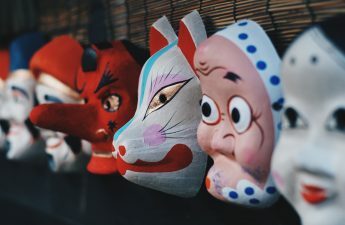 Japan is a unique blend of time periods- traditional and ultra-modern, it hosts some of the world’s largest and best cities as well as some of the most beautiful scenic landscapes. 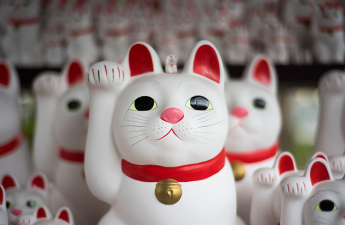 Taking in the fascinating culture and awe-inspiring sights can be tiresome work- so why not have a pit stop and try some of these lovely Japanese dishes? 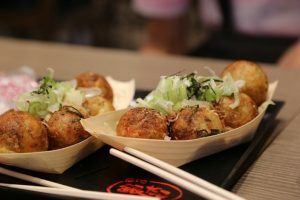 Takoyaki is a ball-shaped Japanese snack made of a wheat flour-based batter, which is typically filled with diced octopus (tako), pickled ginger, and green onion. The takoyaki balls are brushed with takoyaki sauce (which is the best bit!) and mayonnaise. 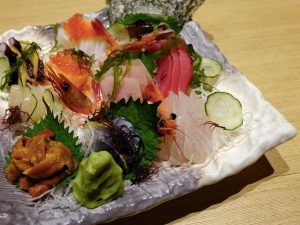 Both green laver and shavings of dried bonito are usually served on top. These usually only cost about ¥500 for 6 and are served piping hot. 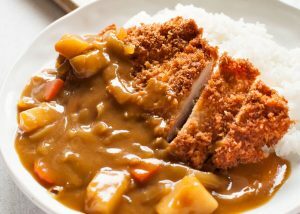 Katsu Kare, or Katsu curry, is a curry dish served with a breaded cutlet of pork on top. The curry is usually made with seasonal vegetables such as onions, potatoes, and carrots. Don’t worry though- the curry is very mild but has a deliciously rich and thick texture. 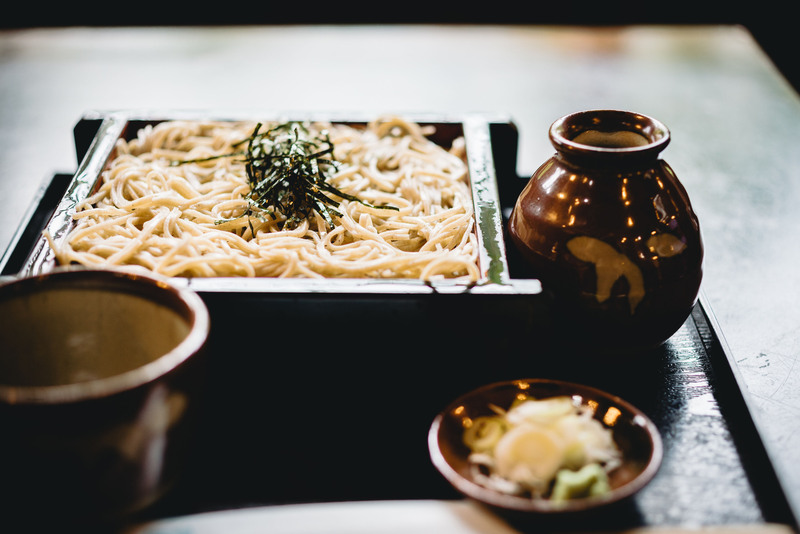 Different places in Japan have their different takes on this dish- so it’s well worth trying wherever you go! Whatever you like, grilled. Literally, that’s what okonomiyaki roughly translates to! The best way to describe this dish is that it is similar to a savoury version of a Japanese pancake. The base ingredients are a wheat flour-based batter, eggs, and shredded cabbage. From there, you can add whatever you like! 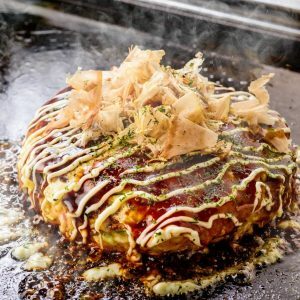 Many establishments in Japan will even encourage you to grill the okonomiyaki yourself- which is great to do with friends and loved ones. Yakitori is a popular street food in Japan. The words yaki (meaning grilled) and tori (meaning chicken) sum this dish up perfectly. 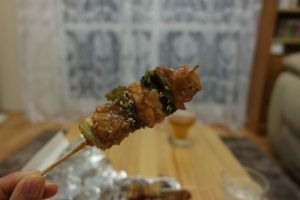 The dish is chicken which has been skewered and glazed with tare sauce while it grills. The tare sauce is usually a perfect blend of salty and sweet- perfect as a pick me up during a long day of sight-seeing. Like takoyaki, Yakitori is pretty cheap, with skewers costing about ¥100! Sea Urchin (Uni) is a food which not many people around the world have thought about eating. But, the Japanese have perfected the preparation process to a T. Uni is a complex and delicate balance of flavours: it’s both sweet but slightly bitter as well as slightly salty. 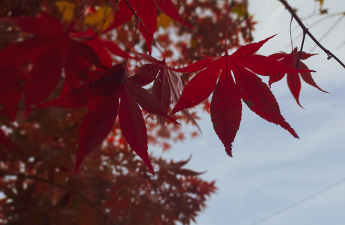 Okay, so this one’s not technically a food but we thought it was unusual enough to deserve a mention. A Habu is a type of viper found in Japan and is closely related to rattlesnakes. 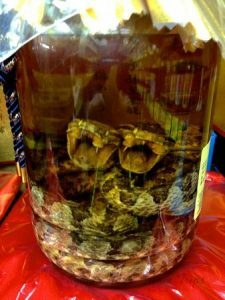 The vipers are caught and placed into a mix of different alcohols. They increase the potency of these alcohols and really enhance the flavour. What makes this drink really unique is that the viper is usually still in the bottle!